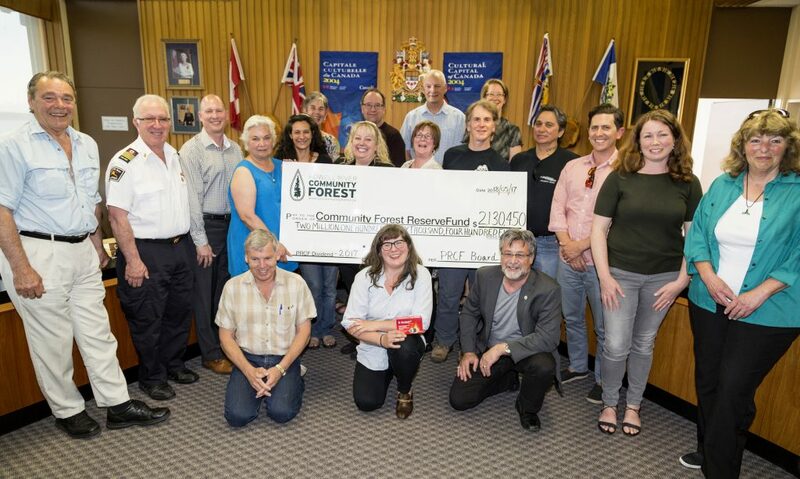 Powell River Community Forest Ltd. handed the City of Powell River its largest dividend cheque in its history, totalling $2,130,450, from log sales in 2017. At the City of Powell River Council meeting, Thursday, May 17th, Greg Hemphill, President of the Powell River Community Forest Ltd., said the process to move from the Powell River Community Forest Ltd declaring our annual dividend through to council approving grants that are given out to community organizations is a collaborative one with the City of Powell River. Hemphill returned the thanks to council. $2.1 million dividend has been committed. In total the Community Forest has funded 109 grants for different projects in the community since its inception. “It’s kind of cool when you see what kind of positive impact the Community Forest has had in the community,” Hemphill said.